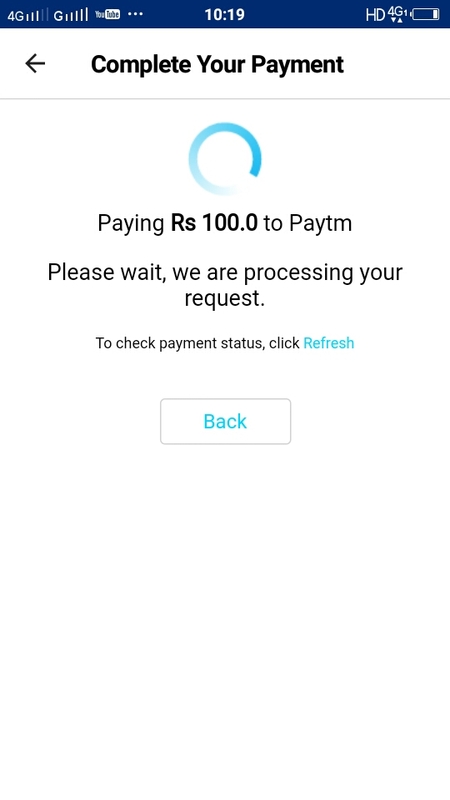 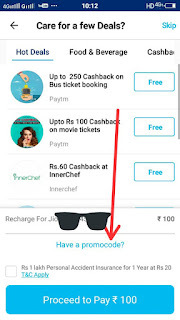 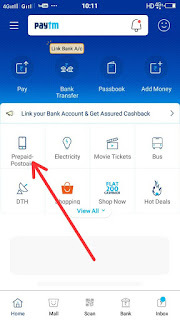 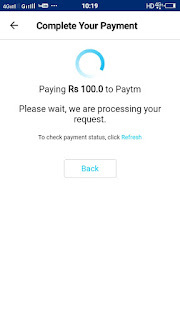 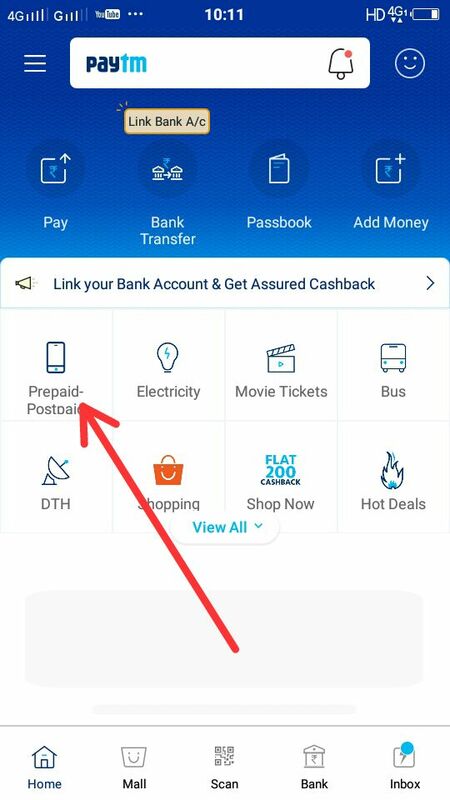 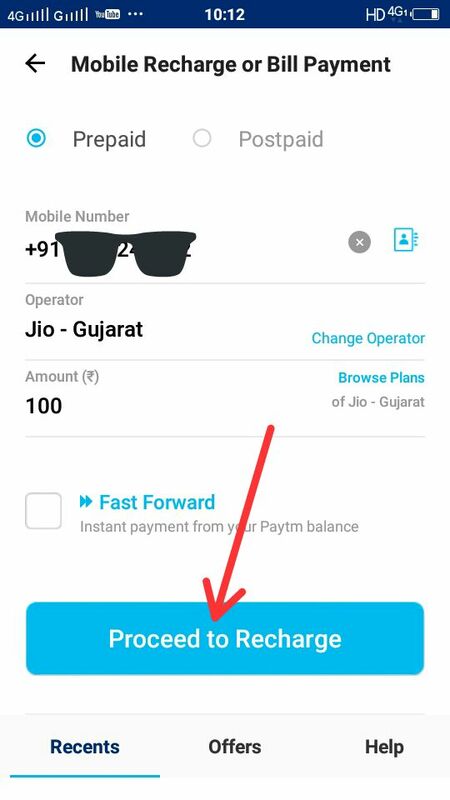 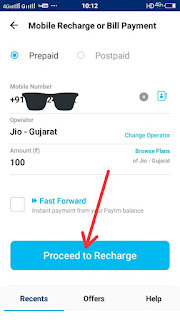 3- Now go to Mobile Recharge or Bill Payment and Fill the Details Mobile Number, Operator and Amount (Make Sure Your Number has not been Recharged on Paytm before). 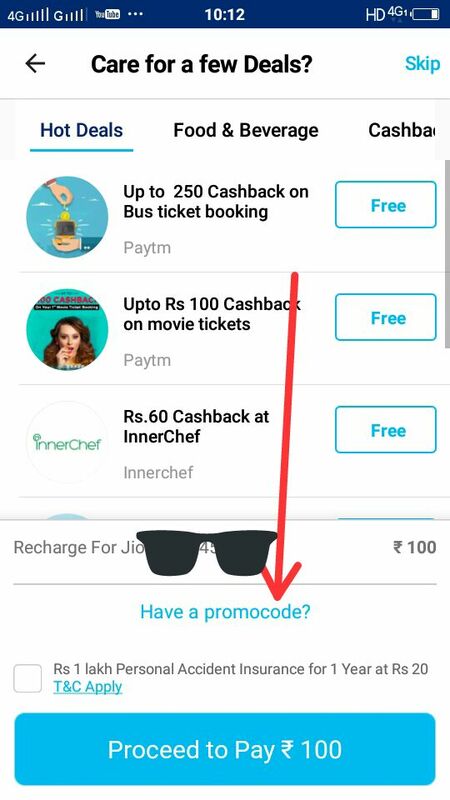 5- Once the coupon code gets applied successfully, Pay the amount. 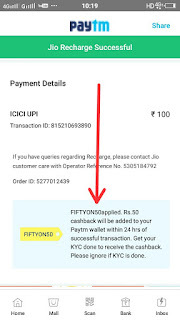 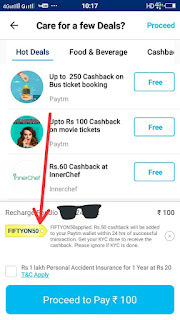 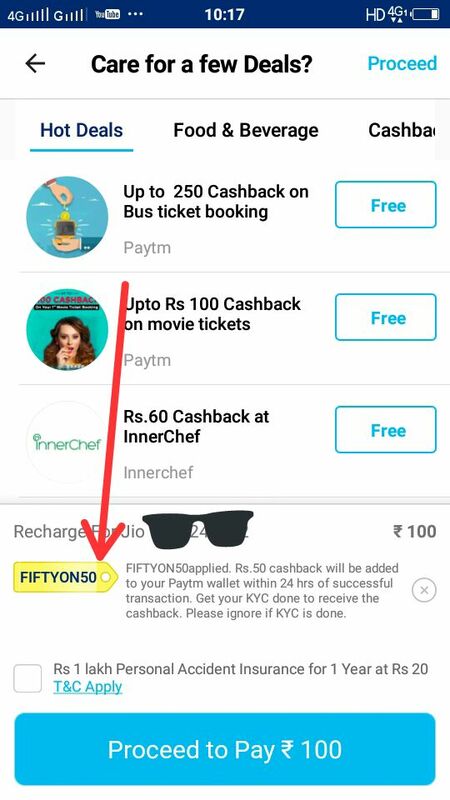 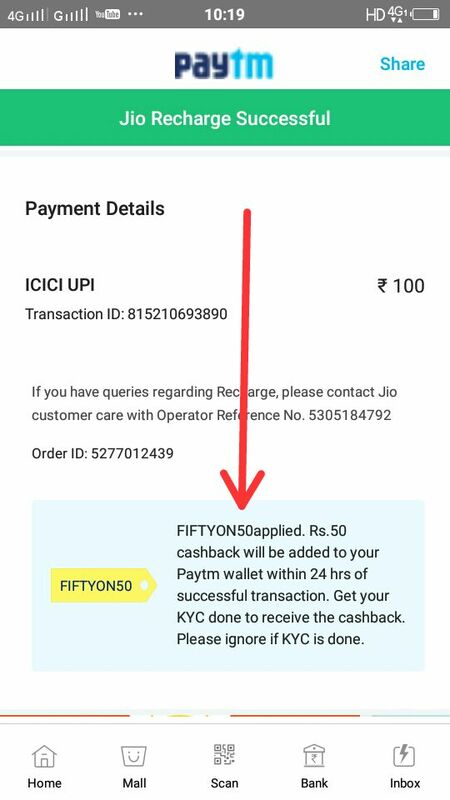 6- You will get the Rs 50 Cashback instantly.